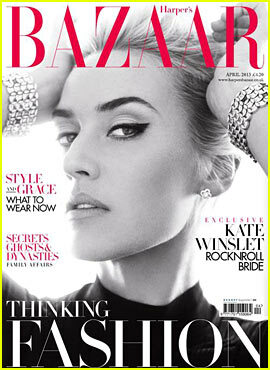 Kate Winslet is the cover girl for Harper’s Bazaar UK April 2013. This is a beautiful cover, love her fierce make-up and all the bling bling. This issue is out now so go grab a copy now. Kate looks lovely on that cover.